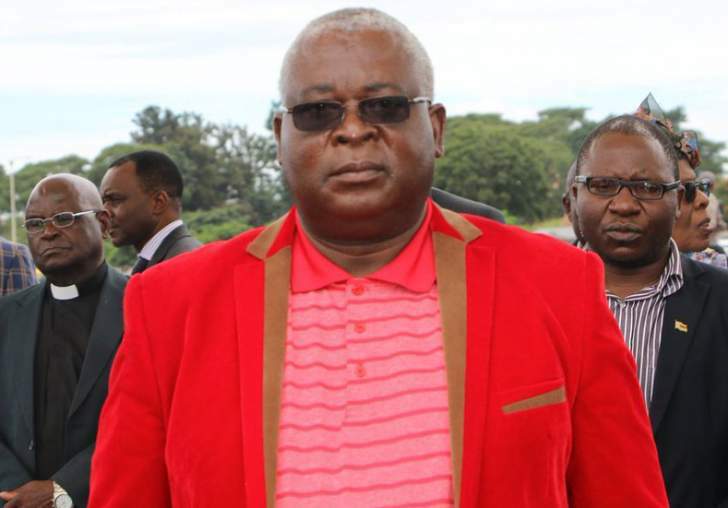 MDC vice-president Elias Mudzuri has given the clearest indication yet that he will challenge the main opposition party's leader Nelson Chamisa at the party's congress in May. Mudzuri (EM) (pictured right), who was elbowed out by Chamisa from the helm of the party following the death of Morgan Tsvangirai in February last year, told our chief reporter Everson Mushava (TS) in an exclusive interview yesterday that the party's founding leader left him with the task of reuniting the MDC. The former Harare mayor and ex-Energy minister said he was ready to contest any position he is nominated for ahead of congress. However, he believes the MDC urgently needs to convene an extraordinary congress to elect Tsvangirai's successor using 2014 structures. Mudzuri also believes Chamisa's strategy to challenge President Emmerson Mnangagwa's legitimacy is ill-advised as their election dispute was resolved by the Constitutional Court in August last year. He is also not happy about the direction the party is taking and say MDC alliance is not keeping Zanu-PF on its toes. TS: You were recently quoted by the state-controlled media allegedly voicing concern that the MDC faced a split if it did not handle the forthcoming congress well. What prompted you to go public about these issues and had they been discussed internally? EM: We have adequate internal dispute resolution mechanisms in the party to able to deal with all disputes that may arise. What is now missing in the leadership are enough leaders who are prepared to protect and uphold the people's leadership manual as laid down in the MDC constitution. Some of our leaders are now more preoccupied with getting positions of influence and privilege in the party and government while breaking the people's charter at the same time. Such a scenario, if not addressed quickly, will always lead into disputes. Splits are a natural product of irreconcilable disputes within an organisation, and the MDC Alliance is not exempt. The only way to avoid such splits from happening is for leaders to follow the constitution, and for the people, through their leaders, to speak out when they notice a problem. The concerns I raised had much to do with party members as they had with ordinary supporters. There was a worrying rise in unhealthy discourse in public domains like social media, which might have been wittingly or unwittingly sparked by some senior members of our party who should probably have known better. TS: What do you think the party needs to do to emerge stronger from the congress? EM: Strength comes from numbers, and the numbers are the people who subscribe to the common vision and ideology of the party. So to gain more strength, the party needs to refocus its vision and ideological values to attract more numbers. There is urgent need to recalibrate the opposition in Zimbabwe, and to align it with the people's changing needs and circumstances. We need to reset our ideological bearings to resonate with the people. This way, we will be able to bring more people into the party, and to emerge stronger. There's also need for the party and its members to channel all their operations through the constitution, keeping within the tracks of democracy. We have a duty to right the many wrongs of the last three decades through doing what is right, to exceed where Zanu-PF lacked and succeed where they failed. This is how our party can emerge strong, through the image of democracy and constitutionalism we will be respected and even imitated by other parties. TS: After Tsvangirai's death you were engaged in a tussle for the control of the MDC with Chamisa and early this year you were targeted for attending a meeting with Mnangagwa. Have you ever felt isolated and frustrated by those internal conflicts? EM: I've not felt isolated at all, the people have always been clear about what they want. There was nothing unusual about that visit since my visit was above board. The event was national, it was not a Zanu-PF event. TS: Your name has been mentioned among those who might challenge Chamisa at the May congress. What is your reaction to such speculation? EM: If nominated to stand for my party, I am more than ready to serve my party and my country. I am also ready to unite the party. it's a task that our late icon Morgan Richard Tsvangirai left me when we met for the last time at hospital in South Africa. I have said this before and you have given reason for me to repeat it! I will make a public statement at the right time. There are processes that must be observed and followed. I don't know which position I'll be nominated for, so I, like everyone else, will have to wait for the nomination process. TS: How is your relationship with Chamisa following the leadership contest last year? EM: My relationship with Chamisa is cordial. TS: ln your opinion, is the MDC Alliance delivering on its 2018 election manifesto, and if not, what do you think is lacking? EM: If we are delivering anything, we are certainly not doing enough. A lot more should be done. The problem with what happened after the elections is that we had never budgeted for a loss in the elections, which in my opinion was more easier to win than lose. Our election promises were as a result biased towards a win (read through our Alliance agreement). So far I believe as a party we have failed our members and the nation at large. We are not the government of the day. We are not in power and so there is a limit to what we can deliver through Parliament and councils. In Parliament we do not enjoy a majority. The urban councils we control have not been spared by the downsliding economy of Zimbabwe. I, however, think we have to think outside the box and not be handcuffed by excuses. We have to do better and we owe it to Zimbabweans to do better. TS: Is the MDC Alliance playing its role in keeping the ruling party in check? EM: My view is we are not playing the proper role of an opposition party and that we lack that patriotic spirit for our country. Yes, we have our reservations on how the elections were held, but I still think we must be rational and be able to see to it that the welfare of our people takes priority ahead of everything. People are suffering and there is need for all Zimbabweans to be united and to work together for the good of the nation. We can lead and serve our people, even without state power if we do our things well. As I said before, we don't have a two-thirds majority in Parliament. It makes our job harder and more challenging, but the job can be done without doubt. We can pressure Zanu-PF in and outside of Parliament. Our MPs, senators, councillors have to up the ante by upping their game. We have to be sharp and keep our eyes on the ball at all times, avoiding distracting side shows. History will judge us harshly if we do not keep Zanu-PF in a pressure cooker. TS: Do you think a resolution on the election dispute between Chamisa and Mnangagwa is possible? EM: It's not possible, under the constitution of Zimbabwe, to resolve an election dispute that was heard and settled by the Constitutional Court. I believe the decision arrived at was final, and that there is no other legal remedy. TS: In your opinion, why do you think was the reason Chamisa performed better than the MPs and how can it be addressed in future elections? EM: When we went into the election Zanu-PF was greatly divided. There were many instances where some Zanu-PF supporters voted for their preferred MPs in Zanu-PF, but on the presidency they voted for VP Chamisa. Thousands who had been staunch supporters of Robert Mugabe chose to vote for VP Chamisa for president. TS: What do you think needs to be done with our politics as a country to come out of the economic mess we are in? EM: We need to redefine our role as the opposition party in Zimbabwe so as to remain relevant to the needs of our people. We must put the needs of our people and country ahead of our needs as leaders, both in government and in the opposition. It's easier to find solutions when there's comprehensive dialogue among the people about our challenges as a nation. TS: Chamisa hinted that one of the VPs should be a woman, what is your view regarding that? EM: That is in line with our constitutional demand of including women in all positions of decision-making. It was a very commendable hint. TS: Are you happy with how the branch congresses are being held and do you think the party is going to hold an incident-free national elective congress? EM: An incident-free election is impossible when the constitution is not being followed. What is overdue in MDC is an extraordinary congress to elect our late president Tsvangirai's successor. Our ordinary five-year congress is due in October this year, not in May. All structures from the last congress in 2014 are expected to run office until October. Congress delegates from the 2014 structures are the ones who are expected to elect a substantive successor for the late president Tsvangirai at an extraordinary congress.